Keeps everything organized. Never have to stress about what to wear. I enjoy experimenting with the clothes I already own and adding items from my wish list. 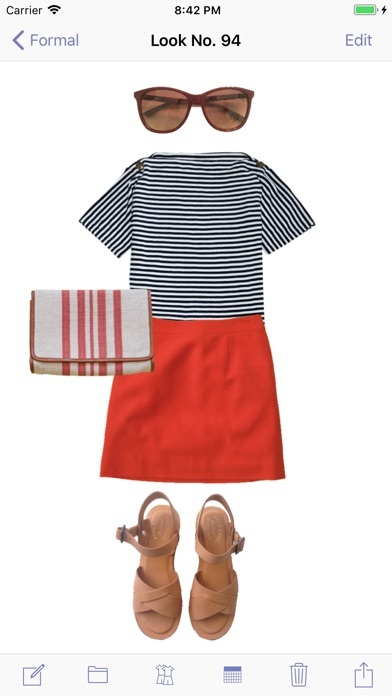 This app has revived my closet and ability to have a pared down wardrobe. It is a fabulous tool to stay on top of items in your closet, keep up with what your wore the last time you were with the same people and styling options. I just wish it would share across devices via iCloud. If you take the time to fill out your style book it will 100% pay off. I add clothes when I get them and it makes it so much easier. I love that I can see what I wear the most and the best and worst cost per wear. There are a few updates that could be done for the app to flow, the last update was a great change with the color updates. 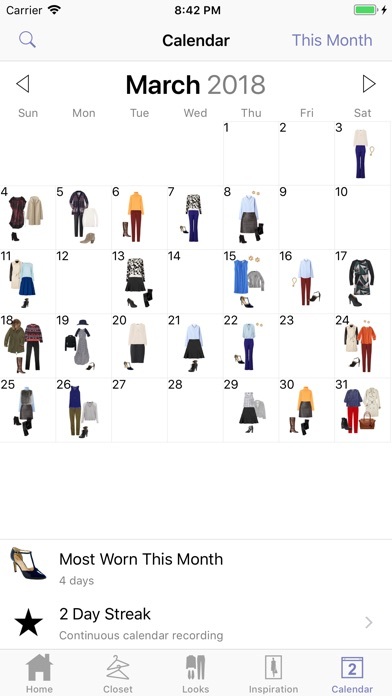 It would be nice to have a back option instead of having to exit the category if you accidentally click sweaters instead of blouses when putting together an outfit. I would also like an “archive” button where when you get rid of clothes it fades them in the app so you don’t have to delete the item from every outfit you ever created with it. It would also be great to rotate the clothes when adding outfits together. No matter what I love this app and use it 100x more than Facebook! I have an iPad Pro, first gen model, and the app freezes now when I try to add an item by selecting a photo. It shows options to choose from my camera roll or Dropbox, but then the app is unresponsive and I have to force quit. This makes it pretty much useless for me now because the only way I can deal with the tedious interface for adding items and photos is to use a desktop computer to find all the photos first. The app only works in portrait mode and not in landscape, I use this on my iPad Pro and I much prefer landscape. If you have your own photo editing app it is probably easier to use that rather than the editor provided. I wish they had a few more colors to choose from. I have a lot of coral and it is also the 2019 Pantone color of the year but you don’t have a good choice. It’s a pinky orange color but the pinks are pinks and the orange colors are orange so I still haven’t figured out what to do there. No good aqua color either but I know you can’t have everything. 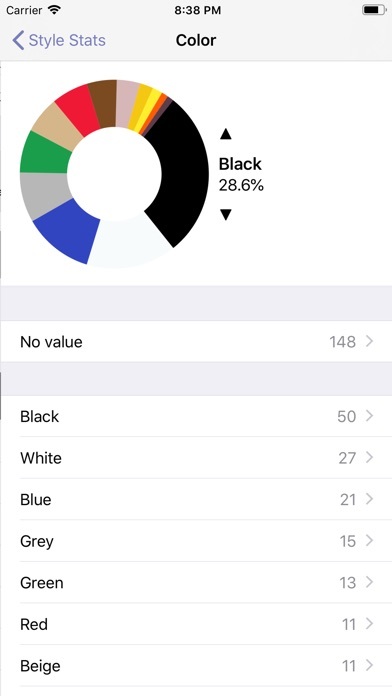 Speaking of color, it would be awesome if the app could automatically suggest colors. I know it can be done because all of the paint companies do it. I spend a lot of time living/working abroad for stretches of several months at a time. I literally have clothing stored in multiple places around the planet. This app does a fantastic job of helping me keep track of which items are in which locations. 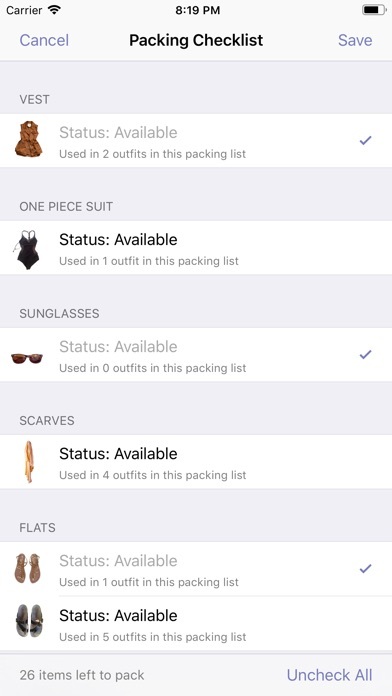 It’s super easy to create packing lists showing what’s already in location B and what I plan to bring to supplement the clothing already in place. I’ve been using the app for about three years now. 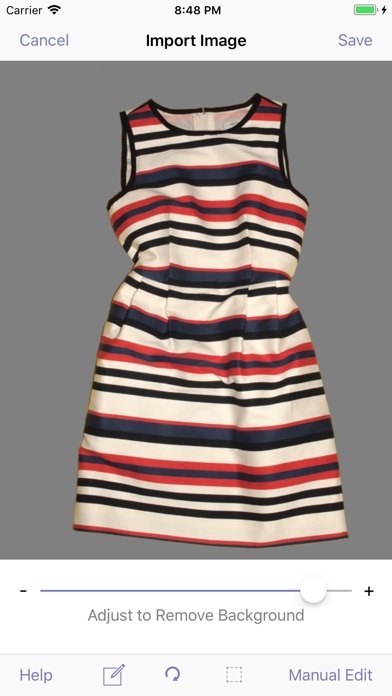 I use it to create versatile travel capsule wardrobes. When it’s time to pack, I can quickly just load my suitcase because I’ve had time to plan ahead and “see” all the items I’ll bring to a location and how they work with items I’ve stored there. A bonus is that Stylebook also helps me focus on purchasing only what I need. I can immediately see if an item I’d like to purchase enhances my wardrobe or not, or if it is a duplicate of something I already own. I own fewer items of clothing now than when I first purchased the app. 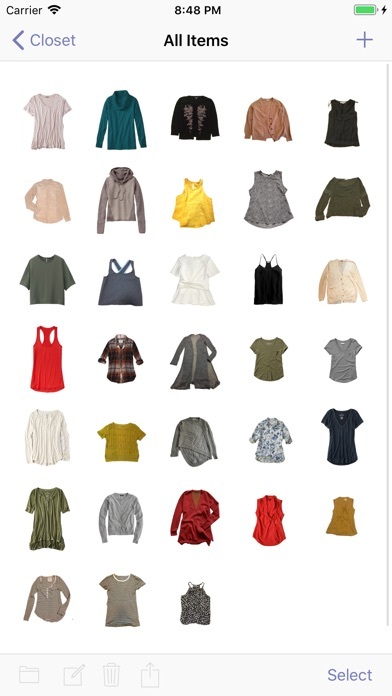 Yes, it’s a lot of work to photograph/import all the items of clothing you own. 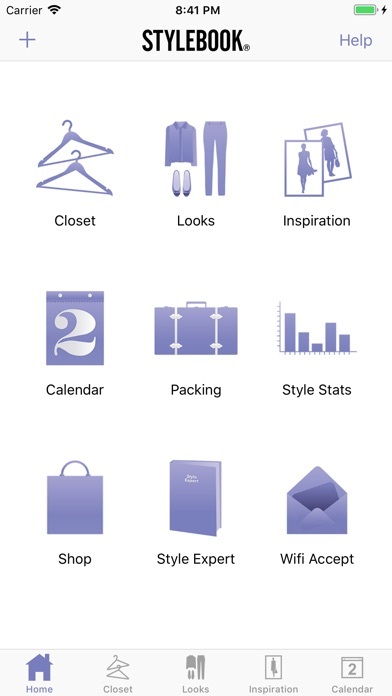 However, it’s well worth the effort and the small price for this app in order to take control of your closet(s). A quick hint for photos—hang a sheet over a door with a hook and hang your items to photograph. The app is pretty good at erasing a solid, single-color background. I was able to plow through quite a few items which this way. This is the BEST app on my phone. I love it so much, I sometimes plan an entire month’s worth of outfits on my couch. It’s also great for traveling — planning outfits and seeing gaps in my closet. I also appreciate the stats on my clothes. Honestly, if I had to pick between social media and stylebook, it would have to be stylebook.